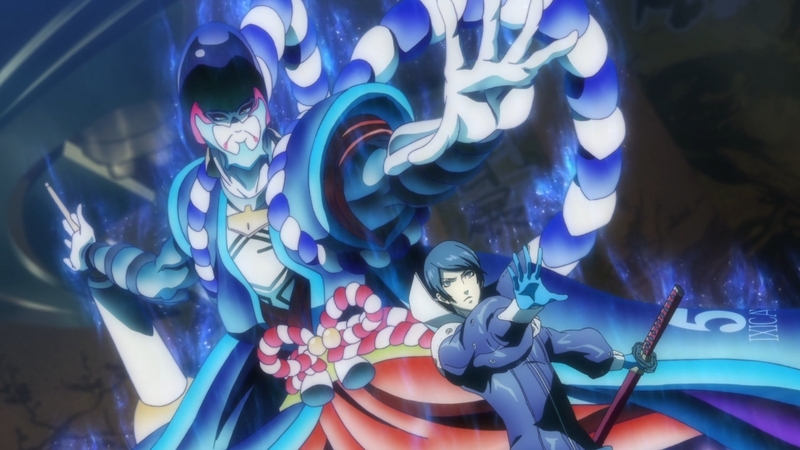 Again, Yusuke’s Persona looks cool. 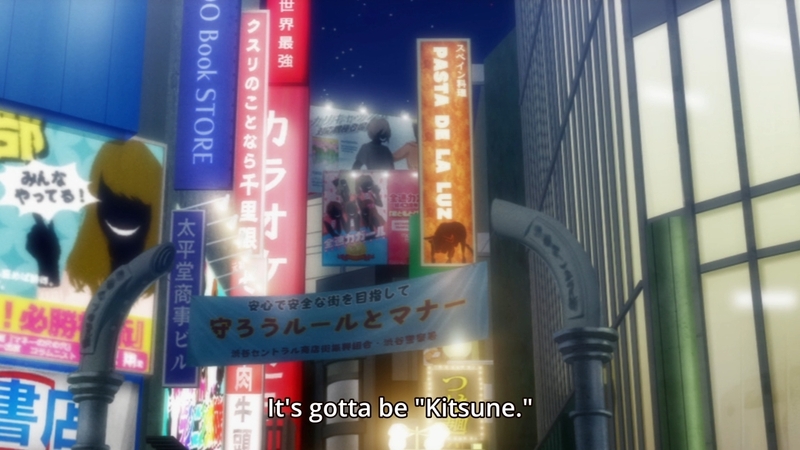 I’m iffy on Yusuke himself, though. But as usual, we’ll start from the beginning. 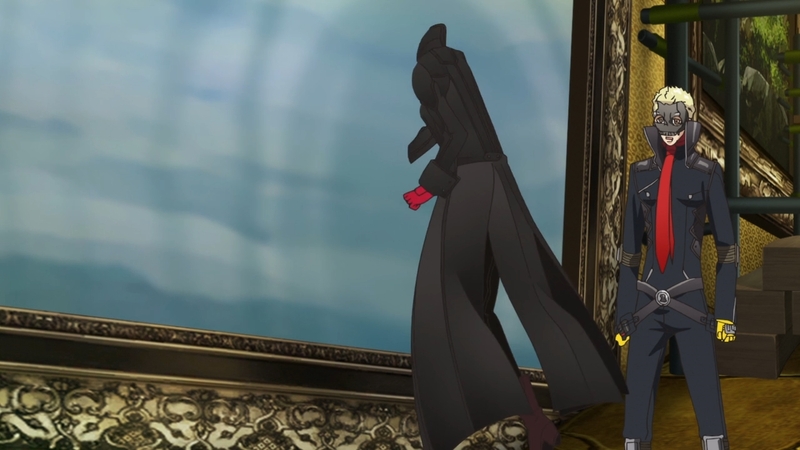 — Thanks to the perspective, this hallway actually looks cooler in the anime than it does in the game… I think. Again, it’s been months since I last touched Persona 5. — So up until now, they haven’t had a plan? 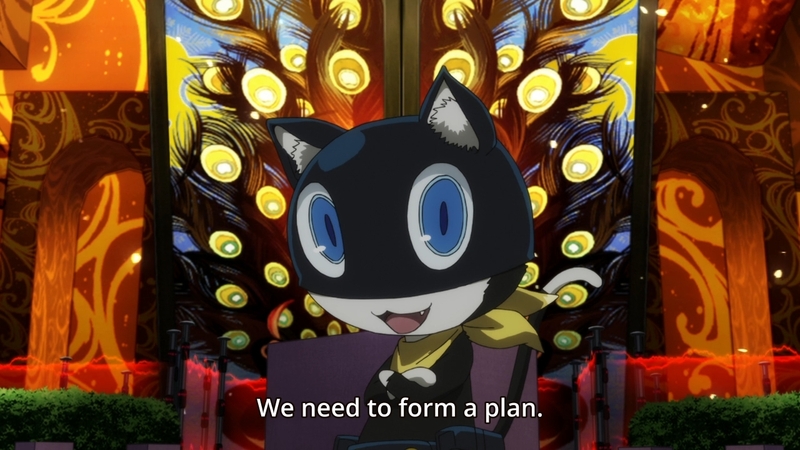 I know what Morgana is trying to say, but it just comes across in a funny way. — Oh hey, it’s Ohya, the worst girl! 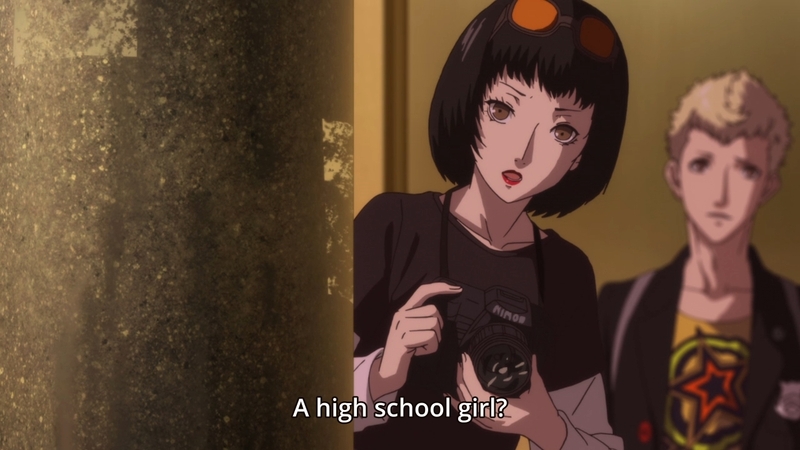 She looks like a grown-up Chie, doesn’t she? I actually can’t remember much about Ohya’s personality other than that she really likes her alcohol. 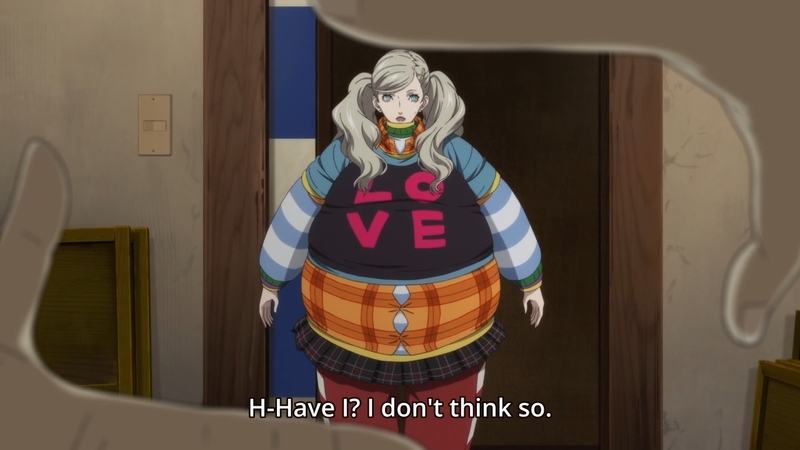 Plus, her Confidant abilities are practically worthless unless you’re a terrible at the game. I don’t believe I ever really used Devil personas all that much either. 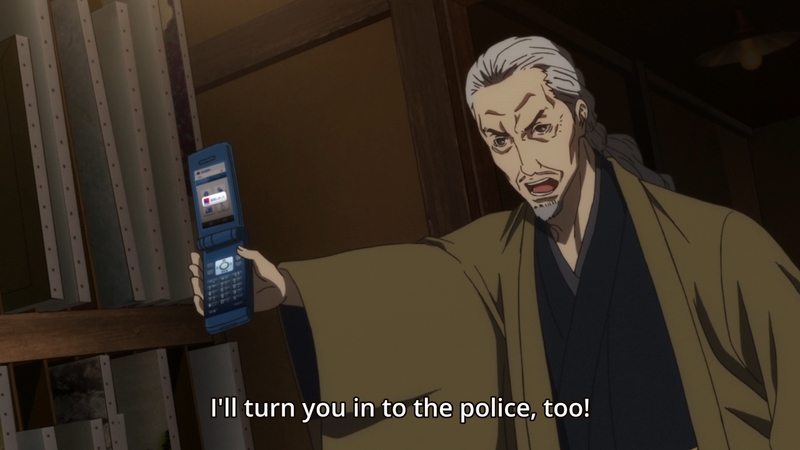 There’s really no redeemable quality to this character. — “We’re all fishy, so let’s be friends.” That’s what I tell people, but they never listen. — For me, this scene was by far the funniest moment in the game. — I never really understood why the door had to be opened in front of Madarame. If you’re just trying to convince him that it’s not unopenable, simply breaking in and leaving the door ajar should do the trick. Of course, I know I’m nitpicking over nothing. — This is a good line. — Aw, this is a cute angle. 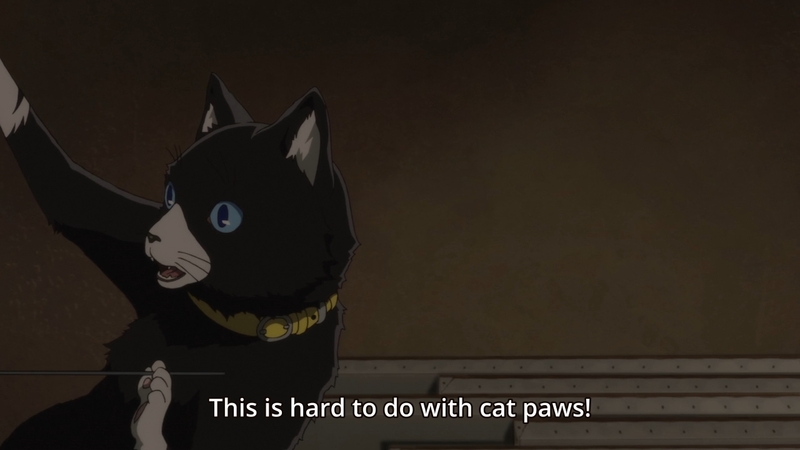 I miss Morgana’s English voice, though. 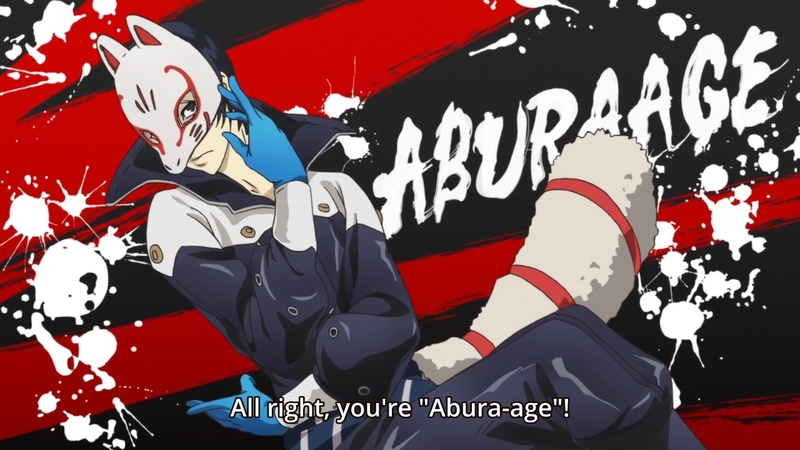 I think out of the entire cast, I only really prefer Ren, Yusuke, and Haru in Japanese . — Something’s off about the size of those garments. — Aw, they left out Ann’s bad acting. 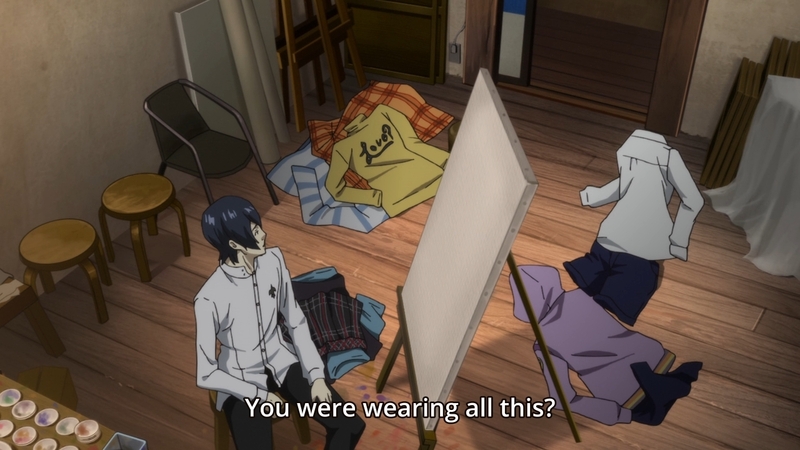 If they joke about it later, it won’t be as funny without this scene to call back to. — When the big doors open, Ren and Ryuji are supposed to run into a big, fat Nue to kill. Unfortunately, it looks like we’re jumping ahead to the cool, interactive paintings instead. — It’s like Mario 64 all over again. Speaking of which, I think that was the last time I ever got 100% completion in a game. As I get older, I just care less and less about doing everything that a game throws at me. Despite replaying Persona 5 three times, I still haven’t touched the fishing minigame. 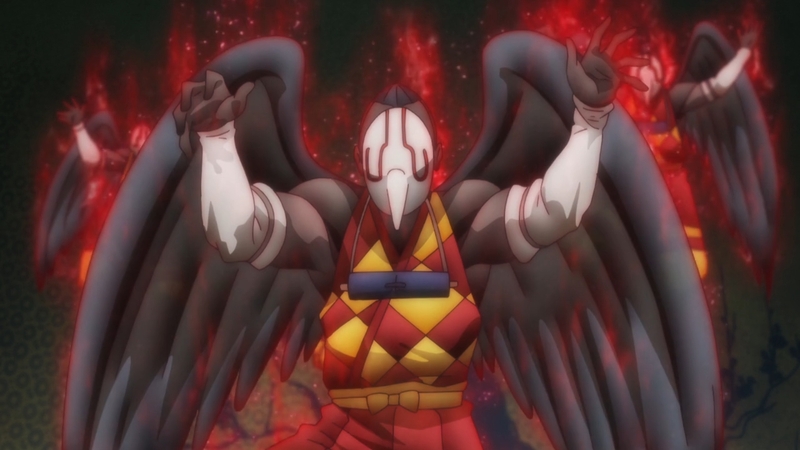 Blame it on Persona 4 and that stupid Guardian. To this day, I still haven’t maxed out every social link in that game simply because you have to catch a Guardian for the fox. Forget that. — The man looks really tiny here. I feel like there are weird perspective errors all throughout this episode. 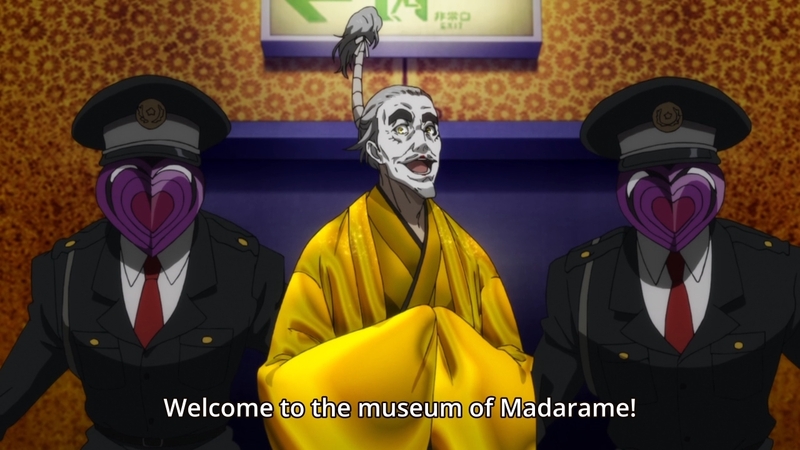 — To be fair, we went into Kamoshida’s palace and saw all those kids being tortured or molested. 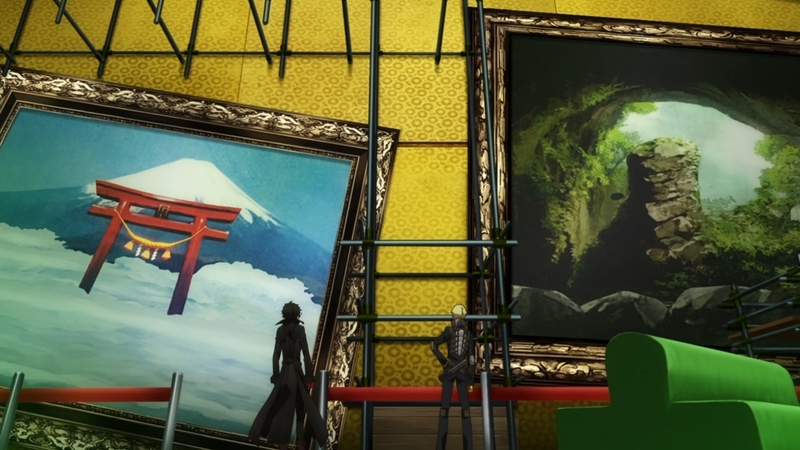 On the other hand, the only evidence of Madarame’s evil are some boring portraits of his pupils and a dumb, gold statue. 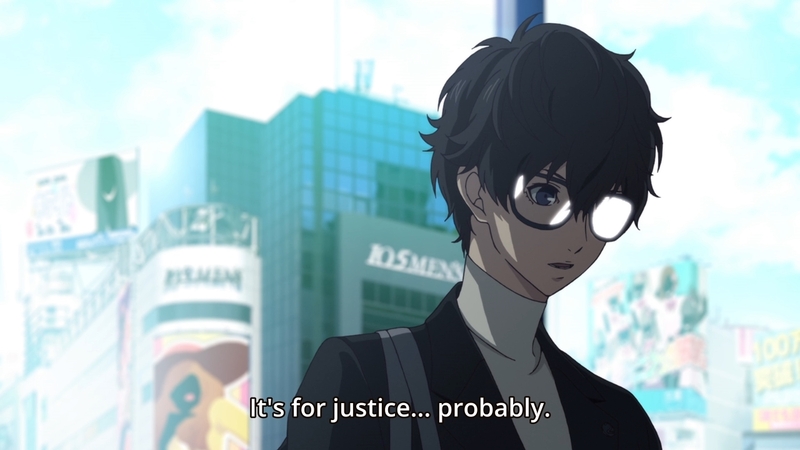 — It’s also funny how he reports Yusuke and Ann to the police, but nothing comes of it until after the deadline. Ugh, I hate those kids… but it can wait! — Plus, it’s hard to take him seriously when he looks like this. 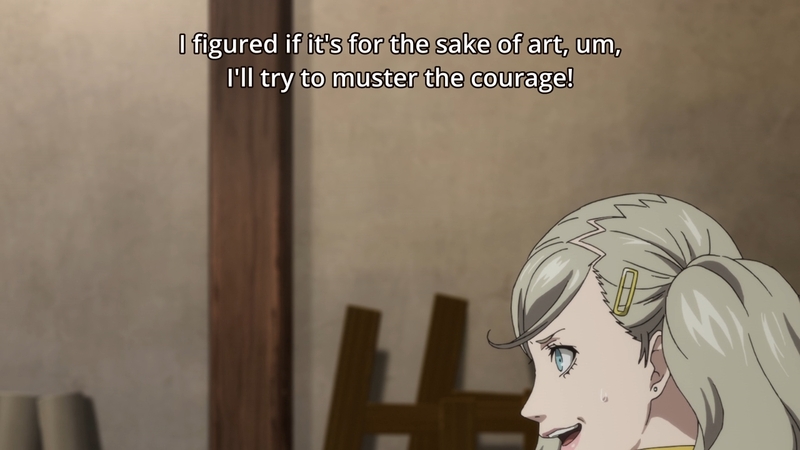 That’s how I feel about Madarame’s “social critique.” It shouldn’t matter one bit to most of us whether or not we’re looking at a genuine Renoir. If people can derive meaning and enjoyment from a fake anyways, the distinction between it and the real deal is literally academic. 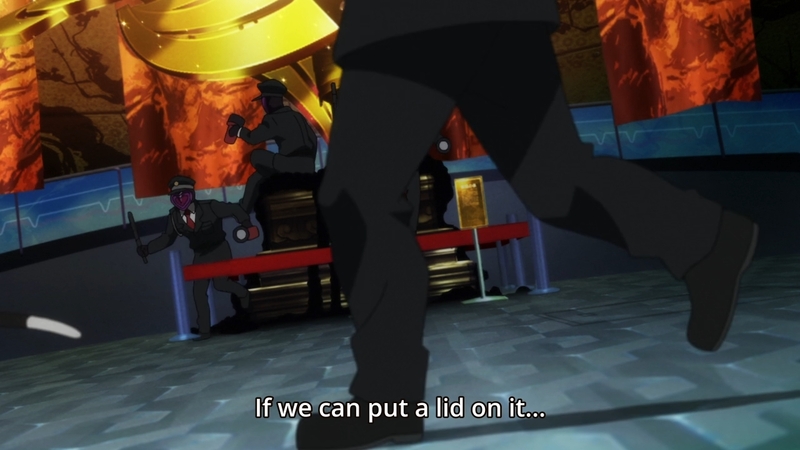 — I’m disappointed that these guards aren’t turning into actual Personas. — But this is new. Having Madarame drive Yusuke to tears with both physical and verbal abuse does help the old man seem a little more heinous. I just wish it could’ve been executed a little better. 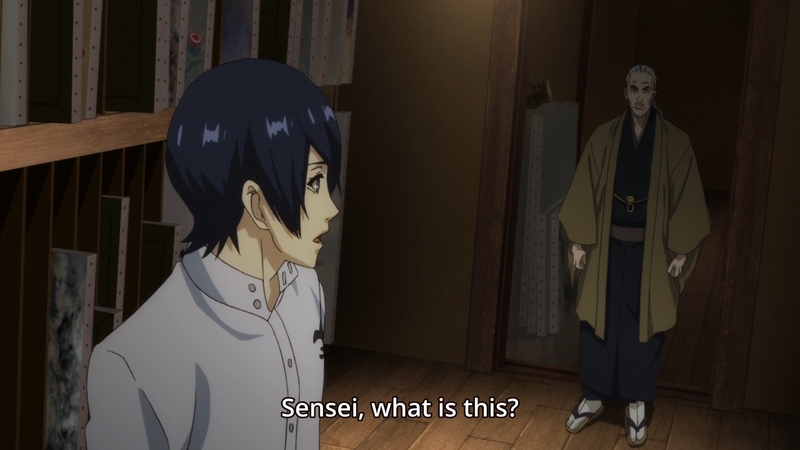 It takes a second after Madarame slaps Yusuke for his cheek to turn red. — Oh, there they are. I remember losing to these jerks on my first playthrough of the game. I had the difficulty set to Hard, and they just kept dodging my spells even with Sukukaja up. You live by the RNG, you die by the RNG. — As an aside, I’ve been pretty damn lucky in my current playthrough of Strange Journey Redux. God, I love that game. If it had been made for an actual console instead, it’d probably be my favorite mainline SMT entry by far. The soundtrack is so good. Right now, it’s in a dead heat with Nocturne. 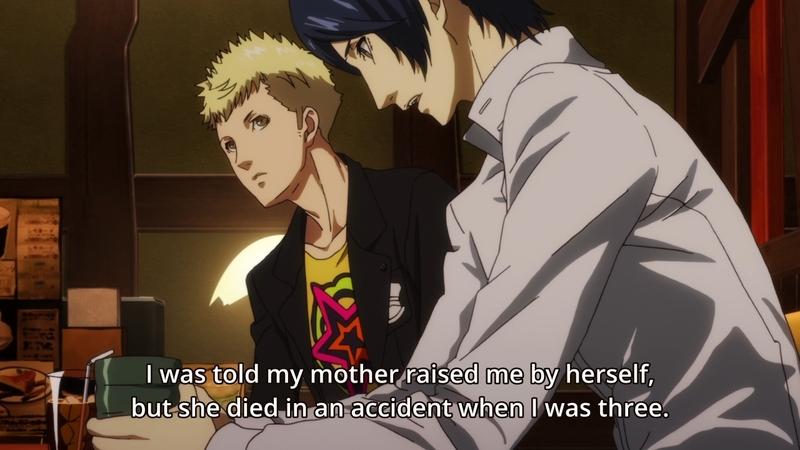 — Yusuke does have a pretty painful backstory. We won’t learn everything about it here, but suffice it to say, he’s surprisingly strong for someone who has been through so much. — Pasta of the light? Huh? — Oh man, I wish I could’ve called him a piece of tofu instead of Fox. 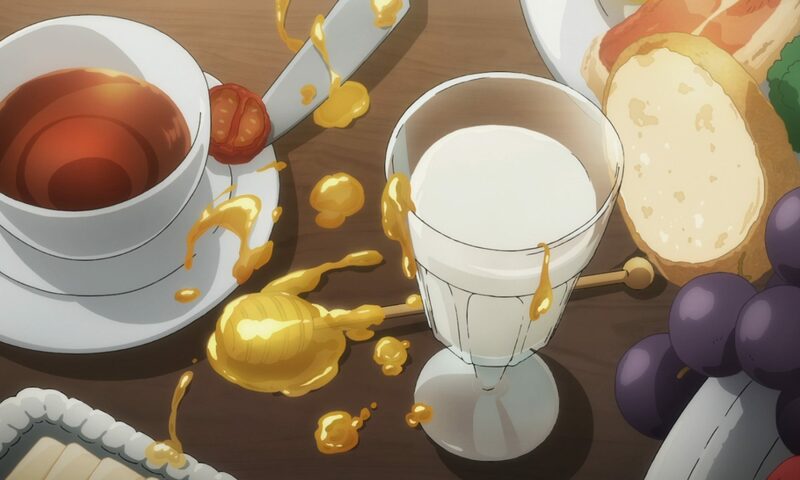 — Well, that about does it for this week’s episode. In the after credits scene, our heroes have already secured a route to Madarame’s treasure, so we’ll be wrapping this up next week. We didn’t even touch the M.C. Escher portion of Madarame’s Palace. Still, this is fine by me, ’cause it just means we’ll get to move right along to Makoto and her badass Persona. Nevertheless, this episode felt pretty short even though it’s the same length as all the other ones. — Plus, Ren has barely touched any of his social links. C’mon, man, you draw your strength from your friendships! Get to it! 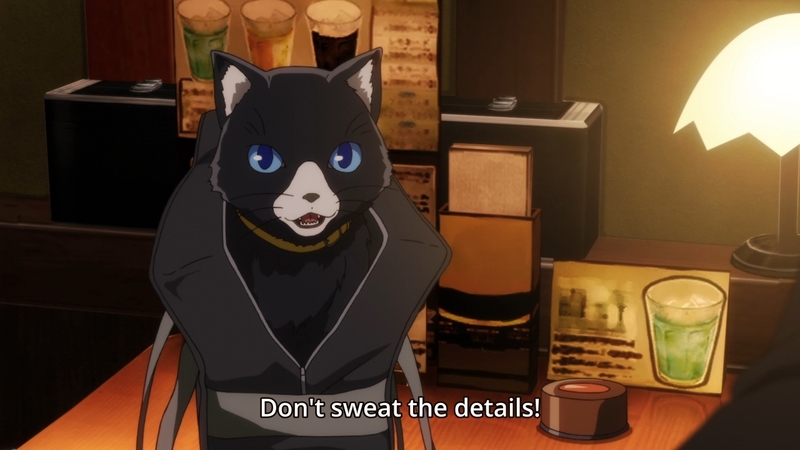 — You also know what I really like about Persona 5? The fact that nobody constantly goes over to the main character’s house and goes on and on about how cute Nanako is. 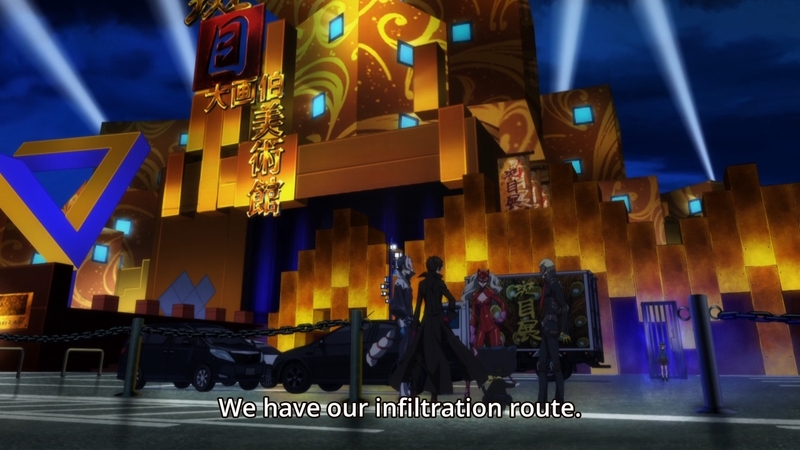 Persona 4 is great in a lot of ways, but ugh, the cast really wore on me by the end of Golden. The fishing game of Persona 4 is a lot of pain, but I think the mechanic of P4G is better. I finally completed all my social links on the Golden version on my first playthrough, and ignore everything related to Marie and the fox on later playthrough. I haven’t played through the international version of the game, so I haven’t fought the Dark Aeons yet. As for the Celestial Weapons, I skipped Wakka (’cause blitzball) and Kimahri (’cause Kimahri).